THE HAGUE – Today, on World TB Day, the international TB community raises awareness about the deadliest infectious disease in the world. 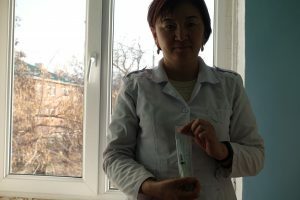 In that context, KNCV Tuberculosis Foundation (KNCV) presents promising news: in Kyrgyzstan, thanks to new drugs and shorter regimens, many more patients with severe forms of drug-resistant TB are being cured. “It’s time every TB patient in the world gets access to the newest drugs and treatment regimens”, says Kitty van Weezenbeek, executive director of KNCV. KNCV introduces new drugs and shorter regimens around the world. Especially, in settings with a high burden of multidrug-resistant (MDR) TB and extensively drug-resistant (XDR) TB, such as Kyrgyzstan. The USAID funded, KNCV led Challenge TB project in Kyrgyzstan achieves high cure rates under routine conditions, with nearly 80 percent of all MDR TB patients cured, compared to only 54% globally. 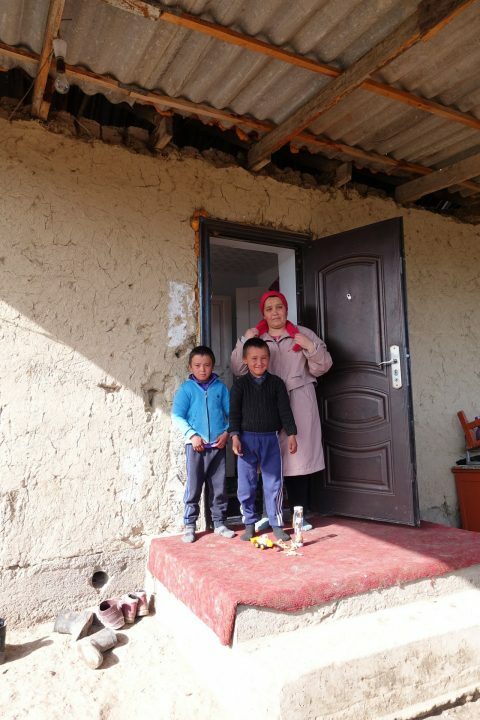 The Kyrgyz family of Zarina (37) got hit hard by XDR-TB. The mother of five children lost her husband in March 2018 due to XDR-TB. She herself and her two youngest sons Nursultan (7) and Danyar (8) also fell ill with this severe form of drug-resistant TB. They were treated with new drugs and got cured. Zarina: “I used to cry a lot and begged to God that he would help me and the kids. I asked if he could give them a great life. It helped, the pills worked and we all got better.” You can read the complete story of Zarina and her family here. Besides pressing the message that it’s time for all TB patients in the world to get access to the newest drugs and regimens, KNCV is supporting and sharing the international ‘It’s time to end TB’ campaign of Stop TB Partnership on social media. Follow us on @kncvtbc (Twitter) and @KNCVTuberculosisFoundation (Facebook).